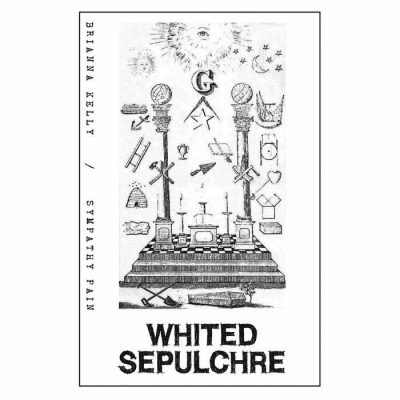 The latest split on Ryan Hall’s Whited Sepulchre label brings together local drone duo Sympathy Pain with Cincinnati-based solo artist Brianna Kelly, and it’s readily apparent how compatible the two styles are. Instead of feeling like a toss-off for either artist, Kelly and Sympathy Pain each present a different side of ambient music, showcasing their own versatility and nuance within a relatively homogenous genre. Kelly’s is the first side of the split, and her music exudes a heavy sadness. What’s more, the tracks don’t really develop or progress. Kelly lets her ideas simmer and grow in strength with each repetition. This makes the length of the tracks feel arbitrary. They could be anywhere between two and 20 minutes, and the emotional potency would only grow with length. It almost feels best to let the end of her closing track, “Sanctus,” loop indefinitely. The fading angelic harmonies and tape hiss are nearly inaudible, but listening closely gives the sounds new life. If Kelly’s music is all about capturing one single moment, Sympathy Pain’s is about slow, potent development. “Blanket Burner” opens with what sounds like the easy swell of a pump organ, but eventually builds toward something much busier. By the end of the 13 minutes, the original sounds have vanished and are replaced by alien guitars and waves of noise. One thing that Kelly and Sympathy Pain showcase is a crucial element of ambient music that is often forgotten or ignored: rhythm. The idea that music flows freely and ambiguously only exists in contrast to rhythmic stability, and the album harnesses this relationship perfectly. Kelly’s voice, in its innumerable layers, can often slip into amorphous territory. On “To Behold You,” the eerie, floating quality of the vocals wouldn’t be nearly as effective if it wasn’t thrown against the steady, chugging guitar chords.